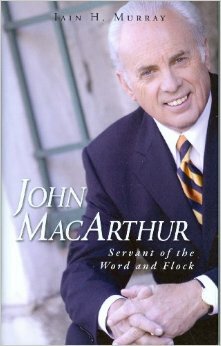 Shortly after the 9/11 terrorist attack in 2001 John MacArthur has been a help and a hero to me. The help has come from his insights on important issues like creation and evolution, psychology, Pentecostalism, gender roles, and the need for fruit in a Christian’s life. I really appreciated books like Charismatic Chaos (on Charismatics) and The Battle for the Beginning (on Creation vs. Evolution) which were educational and accessible. But the reason I’m a MacArthur fan is due to his regular appearances on the Larry King Live show. This was an interview show on CNN and when the host wanted to talk about religious issues there would be MacArthur, alongside of Deepak Chopra, a full-on new age guru, and some forgettable weak-kneed Roman Catholic priest. The setting wasn’t exactly hostile – while Larry King is agnostic, he’s quite polite – but sitting there, in the midst of three fellows who not only had no idea what the truth was, but at points even denied there was a truth to be found, it was certainly a challenging position. MacArthur, as the sole voice for God’s Truth, had to not only present that truth, but in a winsome way that would give God his due. And he nailed it! It was just so encouraging to see him clean up, coming off as the only sane one on the panel. I think he even got me clapping, after a particularly good answer. So, a help and a hero. And to top it off he’s Reformed. But he’s also Baptist. And he’s a Dispensationalist. He wrong about these major matters. That’s why, when I found out Iain Murray had written a biography on him, I knew I’d have to check it out. On the matters where we differ with MacArthur, Murray does too, so his biography highlights the great good God is doing through this man, and takes gentle note of areas where both Murray and we too would differ. What Murray offers us here is a more topical than chronological look (though it is that too) at MacArthur’s life. So, for example, a chapter is spent on his wife, both on her influence, and a major car accident that nearly killed her. Another chapter is spent on the spiritual state of Russians after the Berlin Wall fell when MacArthur was invited to preach and teach there. We also learn about the role MacArthur had in fighting the “easy-believism” that was found in many evangelical churches. Pastors were teaching that not only is salvation not due to our works, after we are saved we still don’t have to do good works! MacArthur’s book The Gospel according to Jesus was a response to this error. Of course, Murray does also give un a look at the man himself. One little factoid that I found of interest was that one condition he set on accepting the call to Grace Community Church, the church he has served these last 40+ years, is that they allow him 30 hours a week for Bible study. He said that if he was going to teach the Word he needed time to be in the Word. I’m sure he works more than 30 hours a week, but even if he was at his task 10 hours a day six days a week, this still amounts to half of all his time. How much time, I wonder, do we give our ministers to simply study God’s Word? Murray clearly admires his subject, but that doesn’t stop him from, when needed, rebutting him. 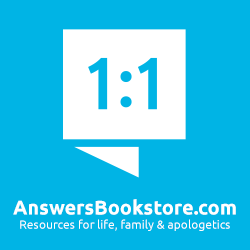 For example, Murray takes up the issue of Dispensationalism in a chapter titled “Objections and Corrections.” There is no better example of loving criticism to be found than in this chapter in how Murray corrects MacArthur! While I loved this book – I liked it so much I took the luxury of reading through it slowly – it is not the sort of biography that everyone will enjoy. The battles MacArthur has fought have been of a spiritual nature, which doesn’t make for quite the same gripping nature as, say, a biography about a shot down World War II pilot who had to contend with actual bullets and bombs. But spiritual battles should be of interest too – after all, we’re all in one. And for anyone who has read or heard MacArthur and wanted to know more about the man this will be a wonderful treat. Here is a man who sought the Lord first and foremost. 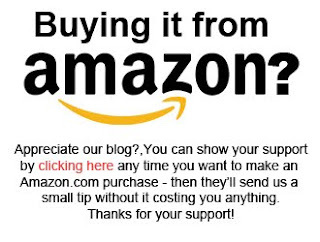 You can purchase it at Amazon.com by clicking here.